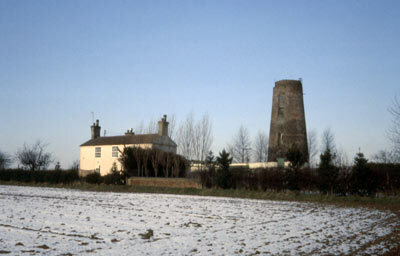 Harpley towermill was built in 1832 to replace the earlier postmill on the same site. The 6 storey tarred red brick tower stood adjacent to the mill house and a selection of outbuildings. 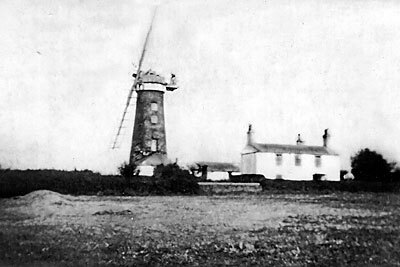 As late as 1889 the mill was still using common sails to power 3 pairs of stones. The mill had an Ogee cap with a gallery, stage and fan. The sails revolved in a closckwise direction with the stones thus being driven anticlockwise. By 1858 wind power was being supplemented by steam power. 2 7 ft. quants in stones, have nuts on flange jointed extensions. Stone nuts 18 ins. diameter, all iron, 32 cogs. 3rd quant up against wall, stone spindle on floor. No base for stones. Another shaft similar to quant but without damsel, behind right-hand stones. Pinion same as stone nuts, but just below it an iron mortice spur wheel, 3 ft. diameter, 6 arms, 71 cogs. Shaft appears to have driven to governors on meal floor, but there is no indication as to what this spur wheel drove. An all iron dog ring (crown wheel) attached to underneath of great spur wheel, about 6 ft. diameter drove two iron mortice pinions on two lay shafts at right angles. Each shaft has wooden belt pulley; larger one, 2 ft. 4 ins. diam. Appears to have driven upwards to sack hoist, other one 1 ft. 6 ins. diameter probably drove downwards. A wooden roller (as at Wicklewood High St towermill) used when stones lifted, by ladder. Top wooden pulley for sack hoist, 2 ft. 4 ins. diam. on floor. Ceiling reinforced with concrete etc. Only 3 ft. of original wall plus 2 ft. modern brickwork set in from outer edge. Window blocked up. No roof. Full of brambles. No upright shaft though a piece of an iron shaft is visible through brambles. Later grist grinding done on 4 ft. right-handed Peak stones in outbuildings, by engine power, steam later oil. 4 ft. Peak runner stone in garden by gate, another outside fence. William Norman snr inherited the mill at the age of 26, from his father Thomas Norman of Little Cressingham in 1816 and William's brother Robert inherited the Cressingham mills at the same time. 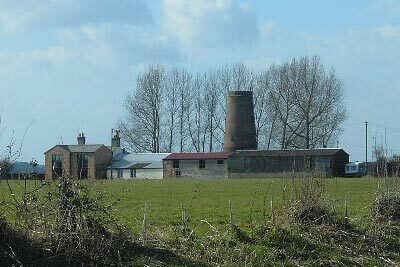 As Harpley towermill was built c.1832, it seems likely that William inherited an earlier postmill on the same site. At Massingham, Mr. Norman, miller of Harpley. Mr. Norman had just delivered some flour, and was standing in his cart apparently in a perfect state of health, when suddenly he fell down and expired. All Persons indebted to the Estate & Effects of William Norman, late of Harpley in the county of Norfolk, Miller & Baker, deceased, are requested forthwith to pay the amount of their respective debts to Mr. William Norman of Harpley or Mr. Robert Ashley of East Walton. And all Persons having any claim or demand upon the Estate of the said deceased are requested to deliver the same to the said William Norman or Robert Ashley an account thereof that the same may be forthwith examined & discharged. L. W. JARVIS & SON. WANTED, a good WORKING MILLER, a Single Man, who is equal to the duty of occasionally Driving a Steam Engine. Apply to W. Norman, Harpley. WANTED, a good WORKING MILLER, a Single Man, who is equal to the duty of occasionally Driving a Steam Engine. Also a Man to Dress Stones. Application must be made personally to W. Norman, Harpley, Norfolk. WANTED, a Man who thoroughly understands his Business & who is a good Stoneman. Apply personally to W. Norman, Harpley Mills. WANTED, a Married Man to take charge of an off mill. Cottage & Garden near the mill. First rate references as to character required. Apply personally to W. Norman, Harpley Mill. 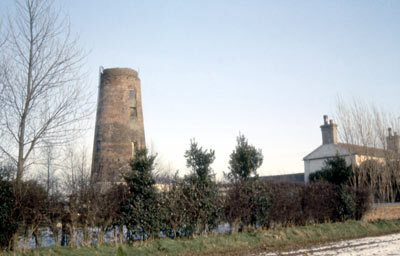 ... at HARPLEY a mill was much damaged. WANTED immediately, two Single Men; they must be good STONEMEN, to work Wind or Steam. Testimonials of good character will be required. Apply personally to William Norman, Harpley Mills, Norfolk. WANTED, a steady active Single Man; must be competent at the Stone Dressing. Apply personally to W. Norman, Corn Exchange, Lynn on the Tuesday or at Harpley Mills, Norfolk. WANTED, a Single Man who thoroughly understands his business & to drive a Steam Engine. Apply personally to W. Norman, Harpley Mills, Rougham, Norfolk. WANTED, Two Men who thoroughly understand their Business & to drive a Steam Engine. Wanted, a single Young Man as IMPROVER. Apply personally. Mr. W. Norman, Harpley Mills, N orfolk. Twenty acres of White Turnips to be fed off the land. Apply to Mr. Wm. Norman, Harpley Mills. Wanted, a Young Man as IMPROVER; one of temperate habits preferred. Apply to Wm. Norman, Harpley Mill, Rougham. WANTED, a steady industrious young man as Miller. None need apply without first class references. William Norman, Harpley Mills, Rougham. WANTED, by a Young Man, a situation as Miller. Can be highly recommended by his last employer. Apply to William Norman, Harpley Mills, Rougham. Anyone giving information which shall lead to the conviction of peresons cutting, destroying or illegally using Sacks belonging to & marked "WILLIAM NORMAN. HARPLEY MILLS" shall receive the above reward. From 16 to 20 Loads of Wheat Straw to be sold. 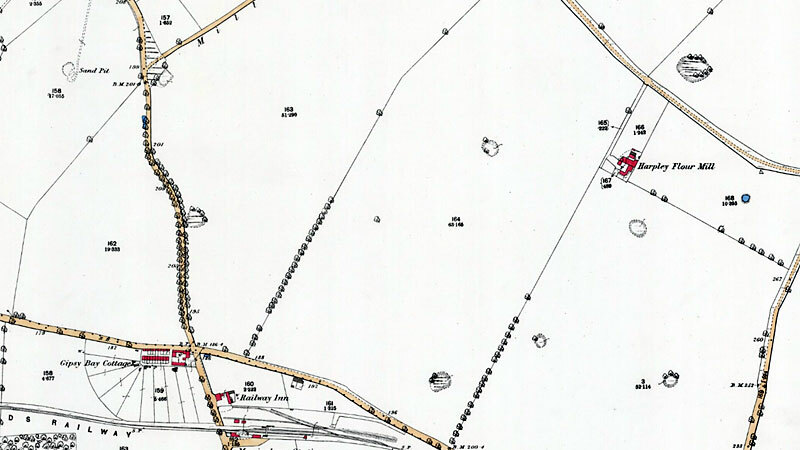 Apply to W. Norman, Harpley Mills. Apply to J. Norman, Harpley Mills, Swaffham. 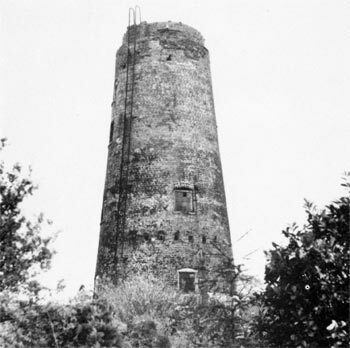 The mill was becoming derelict by 1979 by which time the tar had mostly worn off and the stage that was half way up the tower had long gone. However, at that time some of the machinery was intact and the stones remained. I gather that this mill is being turned into a holiday home. A picture "pinned" on Pinterest shows a 2 storey building being built against the tower; this is presently bright blue, but should look quite traditional when it gets its cladding. The tower was reduced by 3 feet 2 years ago; the curb anchoring bolts which were sticking up in the air have been removed, and I assume that the tower won't be returned to its original height. White's 1845: William Norman, corn miller, & c.